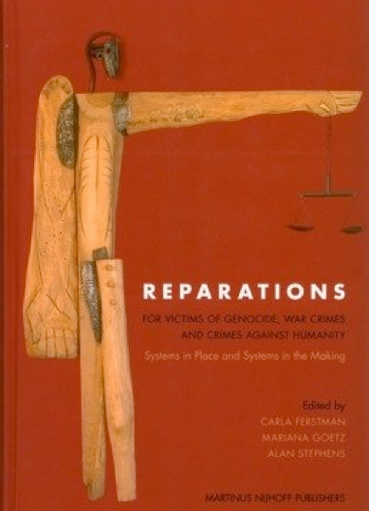 This book provides detailed analyses of systems that have been established to provide reparations to victims of genocide, crimes against humanity and war crimes, and the way in which these systems have worked and are working in practice. Many of these systems are described and assessed for the first time in an academic publication. The publication draws upon a groundbreaking Conference organised by the Clemens Nathan Research Centre (CNRC) and REDRESS at the Peace Palace in The Hague, with the support of the Dutch Carnegie Foundation. Both CNRC and REDRESS had become very concerned about the extreme difficulty encountered by most victims of serious international crimes in attempting to access effective and enforceable remedies and reparation for harm suffered. In discussions between the Conference organisers and Judges and officials of the International Criminal Court, it became ever more apparent that there was a great need for frank and open exchanges on the question of effective reparation, between the representatives of victims, of NGOs and IGOs, and other experts. It was clear to all that the many current initiatives of governments and regional and international institutions to afford reparations to victims of genocide, crimes against humanity and war crimes could benefit greatly by taking into full account the wide and varied practice that had been built up over several decades. In particular, the Hague Conference sought to consider in detail the long experience of the Conference on Jewish Material Claims against Germany (the Claims Conference) in respect of Holocaust restitution programmes, as well as the practice of truth commissions, arbitral proceedings and a variety of national processes to identify common trends, best practices and lessons. This book thus explores the actions of governments, as well as of national and international courts and commissions in applying, processing, implementing and enforcing a variety of reparations schemes and awards. Crucially, it considers the entire complex of issues from the perspective of the beneficiaries - survivors and their communities - and from the perspective of the policy-makers and implementers tasked with resolving technical and procedural challenges in bringing to fruition adequate, effective and meaningful reparations in the context of mass victimisation.